Why Business Owners and Leaders turn to the GROW Strategy Platform? In our business-to-consumer retail model (B2C), here are some of the most common scenarios why business owners turn to GROW Strategy. Which of these scenarios apply to you? How to attract the correct new customers? Part of the business-planning process involves an analysis of your own strengths and weaknesses as well as a recognition of the opportunities and threats in your business environment. Establishing specific goals and objectives as part of a growth plan is especially important when your company is in trouble. An effective growth plan ensures that your team is focused on the same goals when you most need them to be working in unison. You can also seek external help from your trusted advisors to help develop a solid growth plan. We know we have a great idea. We’re just not sure how to monetise it with confidence. The process of putting together a growth plan to launch a new service or product, provides an ideal platform of checks and balances. Introducing a new product or service or entering a brand new market with an existing offering you already have, is very much like starting a new business. You need to think through all the same issues through the lens of your future customers. You need to understand your competitors to avoid threats and seize the opportunities. 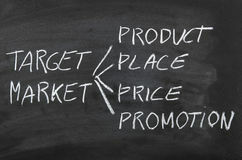 The process of creating a plan helps you develop a strategy for introducing your new product or service, and then ensures that it becomes a successful part of the larger business. 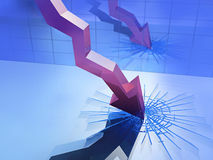 While business growth is desirable, growing too fast can cause some serious challenges. High growth equals high uncertainty. It’s great whilst the tide is rising, but the pressure to grow has also derailed many companies. Balancing the needs of the business experiencing rapid growth – managing new sales, realising the new opportunities, hiring new staff – against protecting existing revenue generated from current customers is a big challenge. Effective planning can help you chart the best way for your own business to grow. A solid growth plan will also help ensure that you have the necessary resources in place to support and sustain your growth. A strong and inspiring growth plan can rejuvenate your front-line team and boost morale. Two key components of a good growth plan help make clear not only what the company does, but also how it plans to grow its business. Many businesses use their growth plan to inspire their people, reduce unproductive actions, sharpen their competitive edge and get everyone pulling in the same direction with the customer at the centre of all actions. The only way to convince external partners (eg: alliances, product manufacturers, suppliers, licensees, investors, centres of influence etc) is with a solid growth plan specifically targeting the same client segments in which they have a mutual interest. In the heady days of the boom, business partners may have signed up to work with you simply because an idea sounded good or the business owners were simply keen to grow as fast as possible. But booms never last very long. These days business partners are more cautious. They want to see a strong and convincing growth plan; one that makes a persuasive case that your company can deliver sustainable revenue. They will take an especially close look at your strategies aimed at the client segments that most interest them. And the same goes for investors. 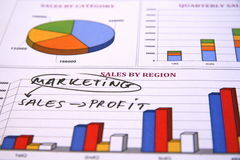 A business plan can only get you so far; the business plan backed by a solid growth plan that shows in detail how you will engage with specific customers segments, to generate revenue in a systematic and sustainable manner, will set your business apart and gain the attention of investors. A strong growth plan will help when you are in a competitive hiring situation. Prospective employees need to feel confident that they are signing on with a company that knows what it needs to do to succeed. They also need to share in your excitement as outlined in the growth plan. If your plan points clearly towards an attractive destination, you’ll have a very good chance of enlisting the kind of skilled and enthusiastic people you’re looking for.